Call 020 3746 3201 or complete the online contact form and our 24/7 client care staff will provide you a free rate and excellent post renovation cleaning offer right now. We have been providing high quality, reliable after builders cleaning in Middlesex UB for more than 10 years. Better Cleaning Company is now a widely recognized and highly respected expert cleaning services provider in the entire area. We select all our experts, background check them and train them extensively. We do the job with the most recent professional cleaning solutions machines and tools. Our mission is to help make your property liveable efficiently and quickly after reconstructions or renovations have been done. To make sure that your property is back to normal after current repainting has been done, book our high-quality post builders cleaning service right now! Our post renovation cleaning company in Middlesex UB has high experience in the field and we are completely equipped with the latest machines for faster sanitising and certified tools for risk-free stain removal and disinfection. Over time we have learned the basic principles in all international cleaning standards and acquired the latest after builders cleaning methods. Our after builders cleaning service involves cleaning and polishing of fixture and fittings, removal of tape, labels, dust, coverings, adhesive and paint splatters and all surface types polished in a skilled manner. Our after builders cleaners will utilize professional cleaning equipment and safe cleaning treatments throughout the after construction cleaning, and we ensure that all procedures for health and safety are implemented during the process. We can process your booking require 24-7, so make sure you take advantage of our free and simple appointments method now. Call 020 3746 3201 or send us an online require here. 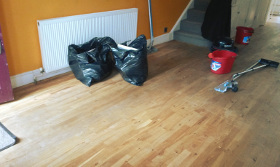 Our trustworthy after builders cleaning company Middlesex UB has fair and fixed prices, no advance payments. If you get service along with our after builders cleaning, we will give you a discount of up to 15% of the extra service reserved. Ensure your office or home is safe and clean after the renovation is done, our expert post renovation cleaning now!